Review the details of this page carefully. To change an item on this page, click Back and change an option, if needed, before proceeding. If everything is correct, click Next to start cloning the partition. 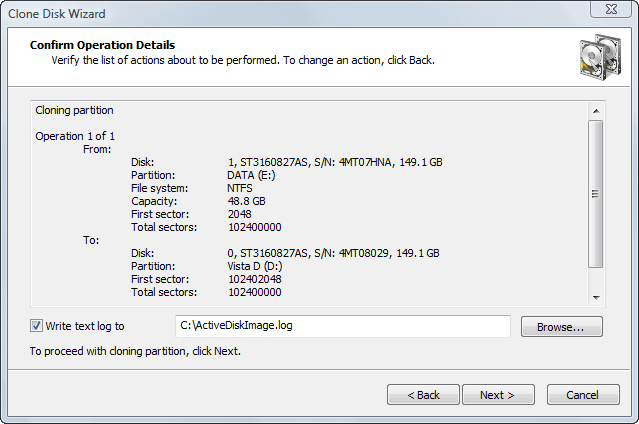 The process of cloning a partition can take a long time. You can watch the progress bar on the Progress page. To stop the process at any time, click Cancel.